Looking for a great way to try new delicious foods every month without breaking the bank? If so then a monthly food subscription box is the perfect answer. Below, you’ll discover some of our favorite, most popular, and most satisfying month food subscription boxes worth trying this year. Candy, healthy meals, ingredients, snacks, international goodies, and more – you name it, there’s a box for that. Trust me, your tastebuds will forever thank you! How much is it: $6.60 a meal. What’s inside: Get delicious, healthy recipes along with pre-measured ingredients delivered straight to your door every week. Plus, you get to choose in advance what you’d like to include in your weekly menu! How much is it: $9 – $49 a month. What’s inside: Get healthy, full-size snacks and products delivered monthly. Best of all, there are 4 boxes to choose from – classic, low calorie, vegan, and gluten free. Coupon / Buy Now: Get $10 off HERE. How much is it: $49.99 a week. What’s inside: Get chef prepared, healthy gourmet meals delivered weekly. Best of all, every meal is made with fresh ingredients and zero sugar, artificial, or gluten. Coupon / Buy Now: Get 30% off HERE. How much is it: $25 a month. What’s inside: Get 6 full sized best-selling snacks delivered straight to your door each month. Best of all, you can try it for free! Coupon / Buy Now: Get your free trial box HERE. How much is it: $19.50 a month. What’s inside: Every month, you’ll get 16-20 delicious snacks, all of which are either all-natural, GMO-free, or gluten free. How much is it: $61.50 – $106.80 per week. What’s inside: Get delicious recipes and fresh ingredients delivered straight to your door along with step-by-step instructions to help you cook the best meal possible. What’s inside: Get delicious, easy to make, holiday themed baking kits delivered monthly. Best of all, you’ll get kits to help you make tasty cupcakes, cake pops, and so much more. How much is it: $5 a serving. What’s inside: Get simple recipes and fresh ingredients delivered straight to your. Plus, being the sister meal box company to Marley Spoon, you’ll get the same quality ingredients just at a fraction of the cost. How much is it: $19.99 to $27.99 a month. What’s inside: Get delicious candies deliver straight to your door. Best of all, you can get anything from gummy candies and licorice to sour straws and chocolate. Coupon / Buy Now: Get $15 off HERE. What’s inside: Get anywhere between 5-20 full sized snacks from around the world every month. Coupon / Buy Now: Use the code SNACKIN to get $2 off HERE. How much is it: $19 – $39 a month. What’s inside: Get 18-20 premium, handpicked snacks, candies, and treats that people in Japan actually it. 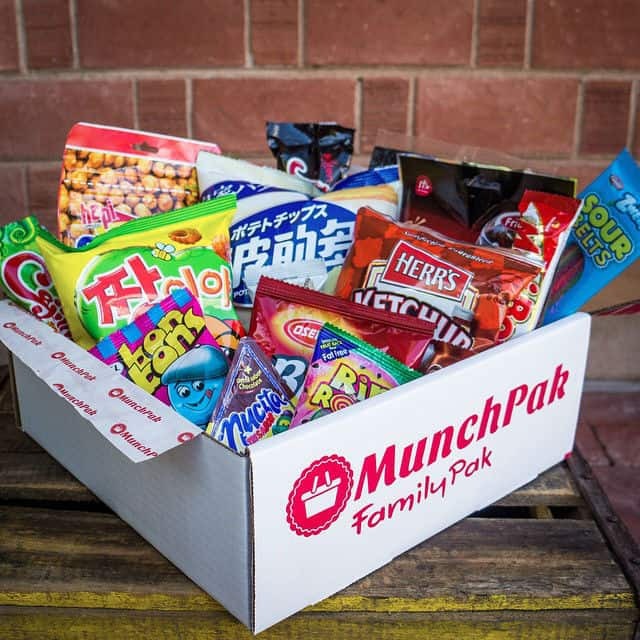 By far one of the best Japanese subscription boxes out there today! Coupon / Buy Now: Use the code URBAN10 to get $10 off HERE. How much is it: $9.99 a serving. What’s inside: Get seasonal recipes and fresh, pre-meaused speciality ingredients to make delicious meals every week. How much is it: $24.95 – $36.95 a month. 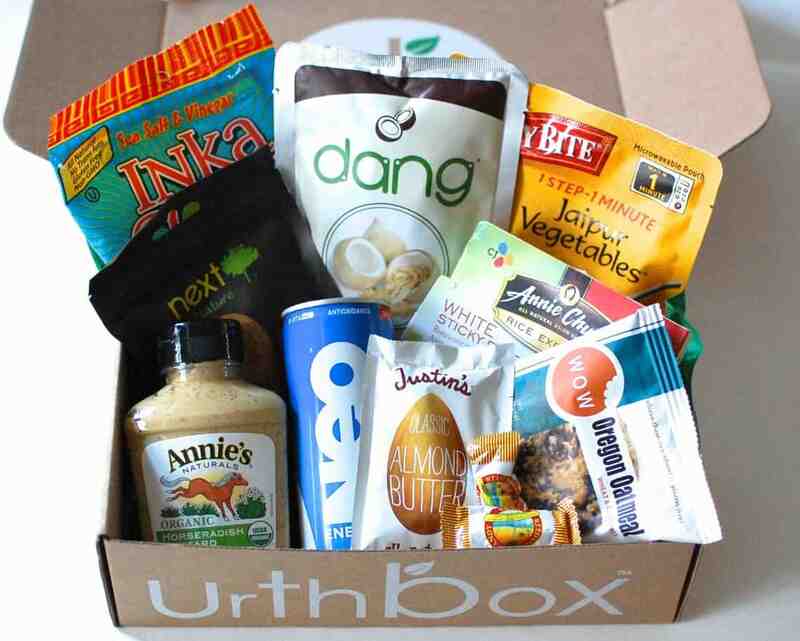 What’s inside: Get gluten free snacks, ingredients, and other food products delivered monthly. Plus, there’s even a gluten free vegan box that’s dairy-free too! Coupon / Buy Now: Use the code UTB50 to get 50% off HERE. How much is it: $8 per meal. What’s inside: Every week, you’ll get fully prepared gourmet, plant based meals made from organic ingredients and zero preservatives. How much is it: $129 a box. What’s inside: Get an 8-11 pound box of 100% grass-fed and grass-finished beef, heritage breed pork, and free range chicken. Coupon / Buy Now: Get $10 off and a free Thick Cut NY Strip (18 oz) HERE. How much is it: $70 a month. What’s inside: Inside every monthly wine box, you’ll get bottles of small batch wines paired with hand crafted meats and artisanal cheeses. How much is it: $65 a box. What’s inside: Get insanely fresh burger meal kits that you can make from home along with mouthwatering slides. How much is it: $19.95 a month. What’s inside: Inside each box, you’ll receive 7-10 vegan snacks and goodies. How much is it: $26.50 a month. What’s inside: Get a curated box of healthy snacks designed by a trainer that’ll inspire you month after month. Overall, a great box for anyone looking to lose weight! Coupon / Buy Now: Get $9 off your first box HERE. How much is it: $1 for free sample then $12 a month. What’s inside: Every month, you’ll receive a box filled with tasty, healthy and delicious snacks delivered straight to your door every month. And best of all, every Graze snack doesn’t include any high fructose corn syrup, trans fats, or GMO. Graze is also perfect for the office! Coupon / Buy Now: Get your free sample HERE. How much is it: $11.99 a month. What’s inside: Get freshly ground, small batch simple blends along with delicious recipes delivered straight to your door each month. Plus, its super affordable! Coupon / Buy Now: Use the code SPICE10 to get 10% off HERE. What’s inside: Get 6 amazing artisan food products specifically curated to you from some of America’s best cities and towns. And best of all, every quarter, the box has a new theme! Easily one of our favorite boxes for men! Coupon / Buy Now: Join this lifestyle box HERE. What’s inside: Receive a monthly box filled with 4 to 6 delicious cured meats from artisan from all around the world. What’s inside: Every month, you’ll get 2 bags of highly-rated jerky form some of the best jerky chefs in the U.S.
How much is it: $40 a month. What’s inside: Inside this monthly low carb subscription box, you’ll get 7-9 keto-friendly snacks delivered straight to your home. How much is it: $200 a quarter. What’s inside: Get three pints of Jeni’s ice cream, sorbets, or frozen yogurt delivered straight to your door in a insulated box four times a year. What it costs: $8 for trial, then $12 or $16 every 2 to 4 weeks. What you get: With Driftaway Coffee, you’ll get a personalized fresh roasted coffee subscription box that connects you to your coffee farmer, all while contributing to their livelihoods. The 4 bags of coffees are soured from around the world and are brought straight to your doorstep, just two days after roasting. Buy Now: Join HERE. Also, get 10% off coffee gifts with code UTB10. Thanks for reading and hopefully you find the best food subscription box possible that fits your overall needs.